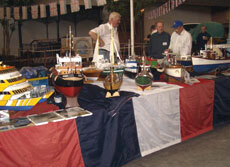 Netley Marsh Steam & Craft Show. 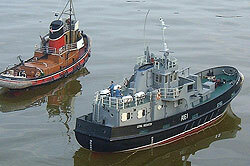 Portsmouth and District Model Power Boat Club (P.D.M.P.B.C) is one of the oldest clubs in UK, and was founded in 1909. It was originally called the Portsmouth Model Steam Boat Club, and we were - and still are - based at Canoe Lake, Southsea, Hampshire. 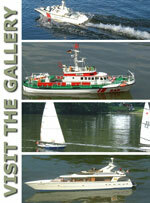 Although it is called a Power Boat Club we welcome all types of model boats including yachts. New members are always welcome - come along to the Canoe Lake any Sunday morning and on Friday evenings during the summer months and have a chat with some of our members. They are always willing to talk and give advice. (If we have a weekend event there may not be any members at the Canoe Lake on a Sunday morning - check our events diary). Alternatively come to our monthly meeting at the Baffins Community Centre in Westover Road, Copnor, Portsmouth, on the first Tuesday of the month at 7.00 pm. The meetings are fairly informal and you will not be expected to join straight away. Come and see what we do through the year. You are welcome to bring along any model or project you would like advice on.